I while ago I decided I wanted to add a more linear DAW to my software setup and was going back and forth on Cubase vs. Logic. At first Cubase looked like a really nice alternative, plus its a platform agnostic option which is always nice. However, when I downloaded and tried the trial version I found it to be riddled with UI problems. I hesitate to call them bugs since it could be a problem with my environment / 2011 iMac, but I was curious if you’ve had similar experiences with 7.5? 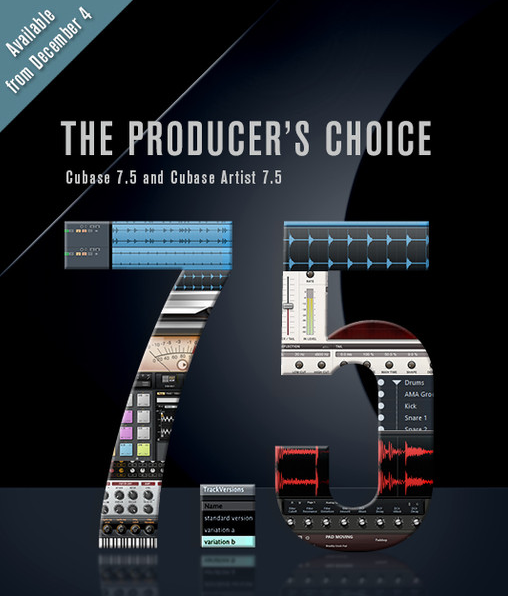 Hmm no UI problems at all in fact if go as far to say that Cubase 7.5 is the best looking DAW I have ever used. They have really sorted out the mix console now and it is a real pleasure to use. Logic X has come on a lot too and although I still much prefer Cubase, I can handle Logic better now. Interesting. I guess my mac is getting a little tired then… Agree on the mix console in 7.5, it looks very good! DAWS are very personal things. I know friends who swear by Logic or Pro Tools or whatever and they make great music. I used Cubase for years and years but I have experimented with many others and have found that all have certain features that I’d love to see in a single DAW. The playlists in Pro Tools, the ability to select what tracks your mixer shows in Digital Performer (now finally in Cubase), plug ins dropped on a clip in reaper and studio one, the session view in Ableton etc, etc. I suppose what I’m saying is that for me no one DAW is perfect and although Cubase is the one I’m focusing on, I’m very interested to see what others bring to the party. Could not agree more. I find myself constantly switching between Logic, Live and Maschine these days depending on the type of track I’m working on. Logic satisfies my needs when I’m working on more linear, traditional synth-pop arrangements, whereas I use Live and Maschine for loop-based and more abstract music..